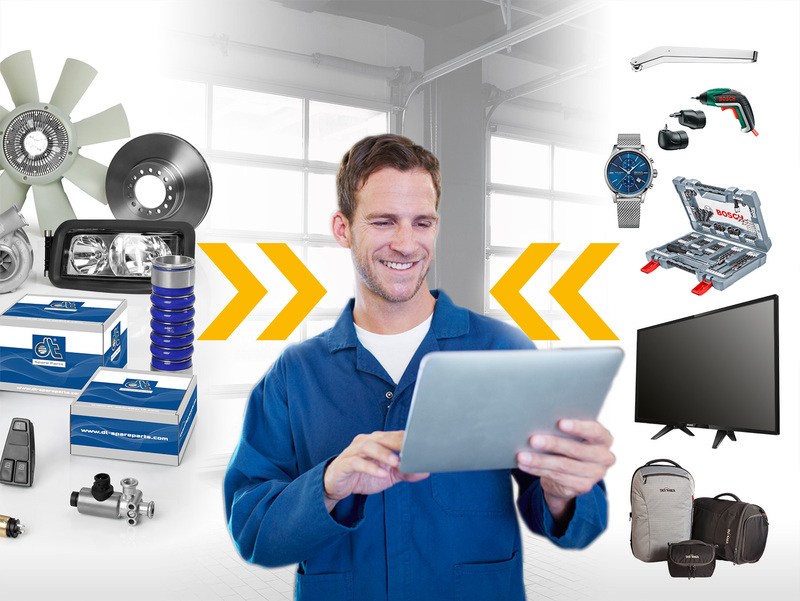 At DT Spare Parts, loyalty now pays off in a very special way: By purchasing products from the brand DT Spare Parts, you not only profit from a complete range with the highest quality and a 24-month guarantee, thanks to the new Premium Shop, you now also secure lots of high-value rewards. This is how it works: By purchasing DT Spare Parts products from one of our distribution partners you will receive crown codes, which are printed on the article label of the packaging. Behind each crown code there is a certain quantity of crowns. Register for free and enter the crown code online at the Premium Shop: https://premiumshop.dt-spareparts.com. You will receive the quantity of crowns on your account. The more products you buy, the more crowns you collect. You can easily see the current number of collected crowns each time you log in. If you collected a certain number of crowns, you can exchange them for attractive rewards. The rewards ranges from shopping vouchers to charcoal grills and fully automated coffee machines. New and high quality rewards are added constantly. Simply select your desired premium and order! All natural and legal persons who have purchased products of the brand DT Spare Parts as an end customer for own use (for instance from a distribution partner of the Diesel Technic Group) and who are over the age of 18 are eligible. Register now and start collecting crowns to make your smallest and biggest dreams come true! Also profit from a special welcome campaign and take the opportunity to win prizes worth of 20 000 €.